FARMINGTON HILLS — The Great Lakes Renewable Energy Association has awarded Newman Consulting Group LLC its “Exemplary Project Award” for its energy efficiency project at The Whitney restaurant in Detroit. 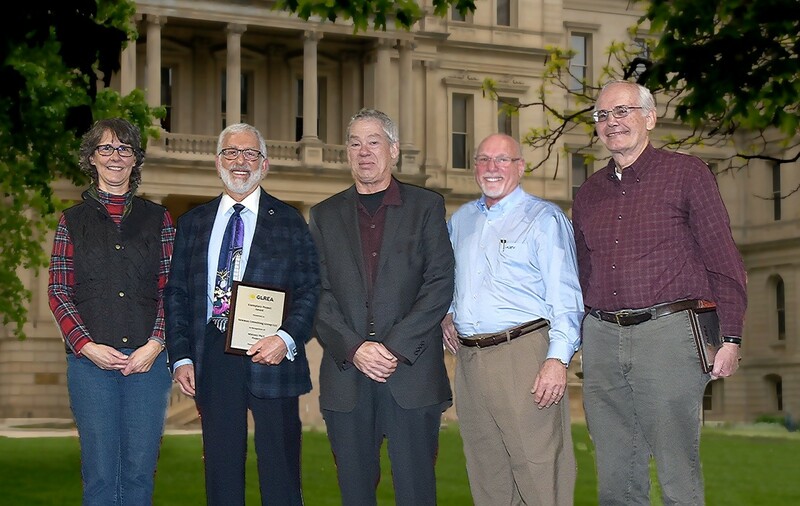 The award came at GLREA’s annual meeting, held Dec. 2 in Lansing. Newman Consulting was commended for its work at the Whitney, a 120-year-old mansion on Woodward Avenue that’s on the National Register of Hisotric Places and which has operated as a restaurant for more than 30 years. Newman Consulting is using the Property Assessed Clean Energy (PACE) financing system to pay for energy efficiency improvements at The Whitney that will save the restaurant more than 25 percent in energy costs. The project began with a comprehensive energy analysos. and will include improved, energy-efficient heating, ventilation, and air conditioning systems and controls, LED lighting, and high-efficiency windows. GLREA makes the annual Exemplary Project Award to recognize the renewable energy or energy efficiency project that demonstrates the most innovative and practical use of technologies and methods for creating or conserving energy. PACE financing makes it easy for property owners to invest in energy efficiency by spreading the cost out over many years — 20 years in this case — and guaranteeing that the investment is cash flow positive for the borrower from day one. Pictured in the photo above are GLREA executive committee members with Jim Newman of Newman Consulting Group. From left to right are Melanie McCoy, Newman, Dave Konkle, Mark Clevey and John Sarver. Newman Consulting Group helps commercial, industrial and multi-family property owners all over the United States implement energy efficiency projects — including renewable energy such as solar, wind, geothermal — eliminate waste, and save money. More at www.newmanconsultinggroup.us. Since 1991, the Great Lakes Renewable Energy Association (GLREA) has been working to expand the use and generation of solar and wind energy through education and advocacy. More at www.2glrea.org.